Want small groups and a relaxed day snorkelling and maybe trying a dive? Then this is the boat for you. 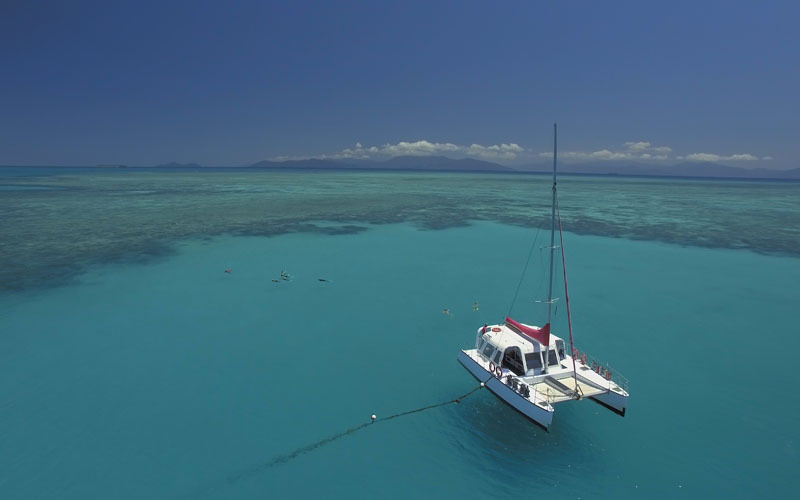 Taking a maximum of 20 people out to the Great Barrier Reef, Reef Daytripper is a beautifully kept sailing catamaran that was built in 1998. It measures 12 m x 7.5m and is very spacious inside and out. It visits Upolu Reef which is a very beautiful location which lies at the very edge of the Outer Barrier Reef. 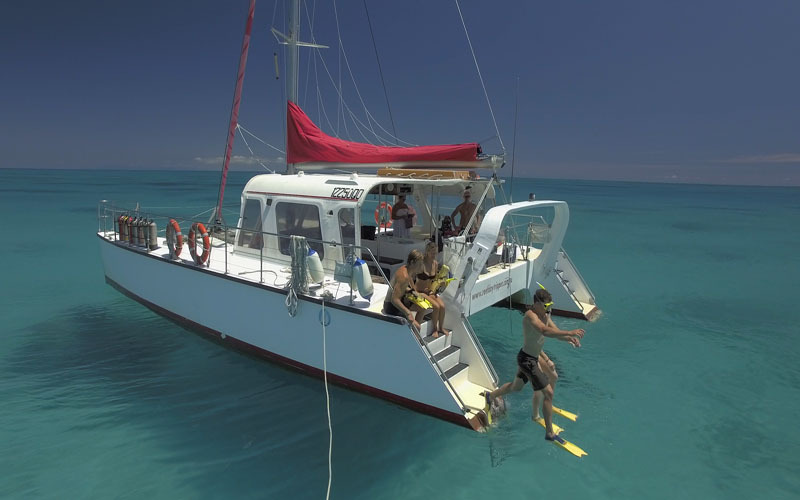 Reef Daytripper offers a small fun filled personalised trip taking a maximum of 20 people out to the Great Barrier Reef. Reef Daytripper is a beautifully kept catamaran that was built in 1998. It measures 12 m x 7.5m and is very spacious inside and out. We are surveyed to take a maximum of 27 people but cap it at lower numbers so that our guests dont feel cramped. 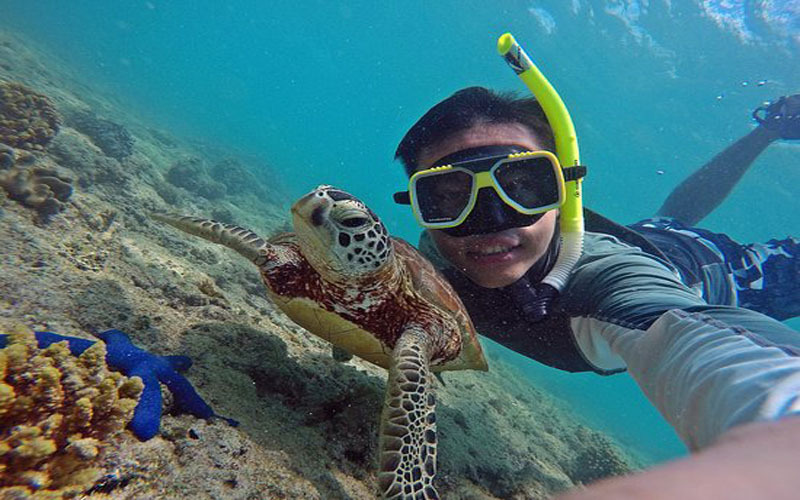 Certified divers, introductory divers, and snorkellers are all catered for on Reef Daytripper. We have 2 sails the main and the jib and our gorgeous bow nets are so comfortable and smooth. 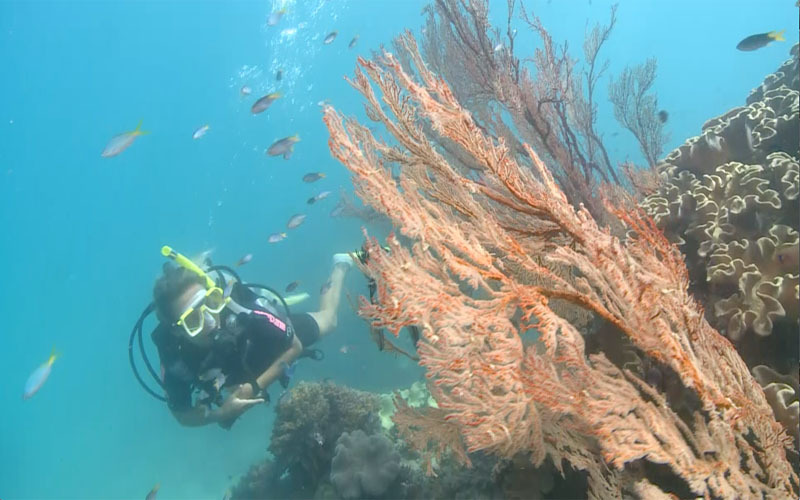 A snorkel guide is available at the first site which offers guests a fun, information and interactive introduction to their day’s exploration. We also offer extra help and instruction for beginners, because of our low numbers this allows us to spend more time with guests that are either not confident swimmers or have never snorkelled before. We can give them snorkel tuition, give them a swimming noodle for extra security and send them with the snorkel guide. Perhaps you also like to look out for dolphins, turtles or even whales (seasonal). 07.30 Board Reef Day Tripper. Located at ‘D’ Finger, Marlin Marina (Near Reef Fleet Terminal).